Recently, I had the opportunity to test a new pattern put out by Little Lizard King. Not only is the pattern new, the designer is new, too! 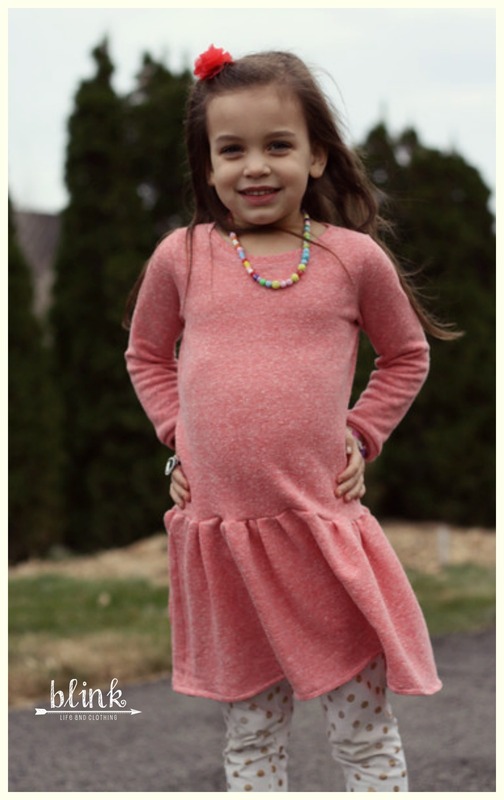 Cassie’s inaugural pattern is the Drop Waist Diva, an adorable girl’s dress. My daughter measured perfectly for a four which is what I made in my first version. 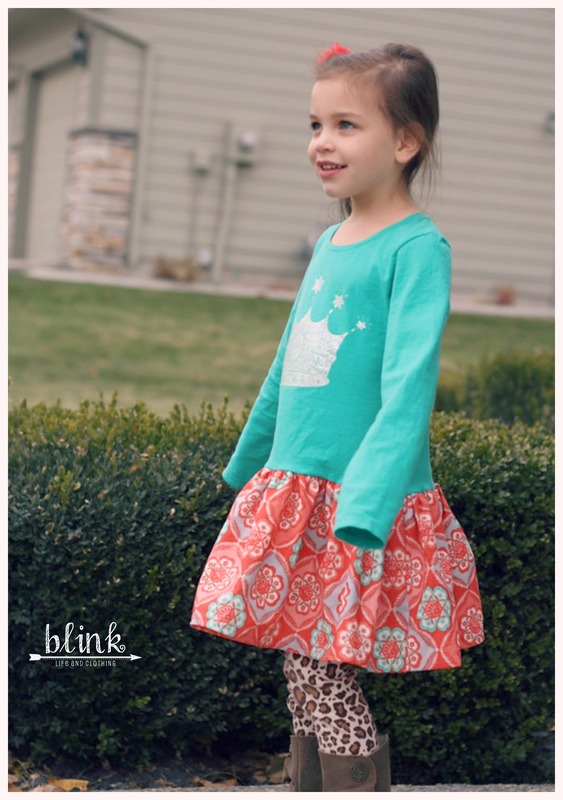 The pattern has many options to modify sleeve lengths as well as styles. I chose to go simple with cuffed long sleeves. There are instructions and pieces for adding a ruffle to the shoulder as well as making cute ruched elbow-length sleeves and short sleeves. Everything about the bodice was a perfect fit and went together so easily! For the skirt on my first version, again I went simple, just using the measurements provided in the pattern for a simple skirt. There is an adorable tiered version that I plan to make soon for Christmas – it’s adorable! I added a bow and after attempting to pin it on, ended up tacking it down in the middle prior to tying. I figure this way I can still easily iron it later. The latest version I made was out of knit French Terry. I had purchased this for a tunic for myself but had plenty left for a “matching” dress for her. She was so excited for us to be “matchers”. I went back to a size four for this one and followed the same instructions other than reducing the width of the skirt piece since this was a much bulkier fabric than the pattern was written for. I love the way it turned out and it’s so cozy! Seriously, it was cold, I think she was trying to keep her eyes from watering. We took three pics and decided we were done and headed in for hot cocoa. 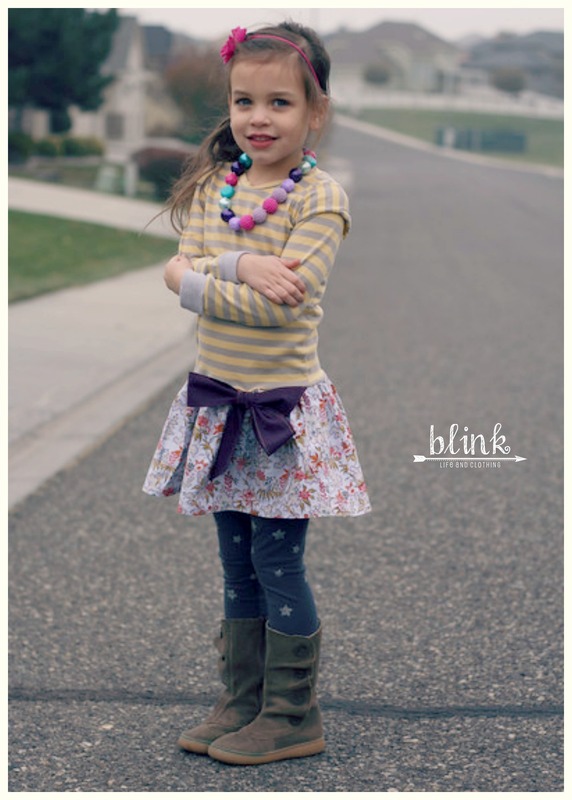 Cassie’s pattern, as you can see is not only adorable, but very versatile as well. I love it and you should grab it! Be sure to post your photos in the LLK group on Facebook.